Auctioneer Mark Drilling gets people fired up about bidding at the 2012 Promise Ball, benefitting the Juvenile Diabetes Research Foundation. 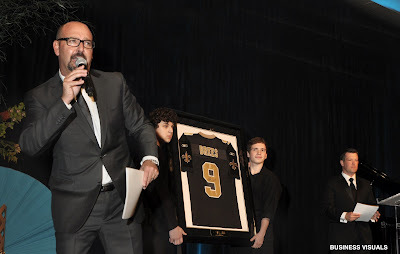 Gavin Foyle and Sam Martin show off a Drew Brees jersey while Darrell Greene, of Fox 13 TV, emcees the event. The Promise Ball raised over $350,000 this year. How do you get to the Mud Island stage? Practice! The Mud Island Amphitheater is ready for the 2012 season. 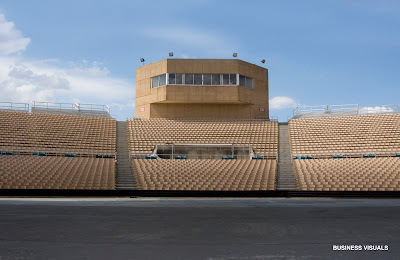 So far they have not let me play there, but I did get to photograph the venue.